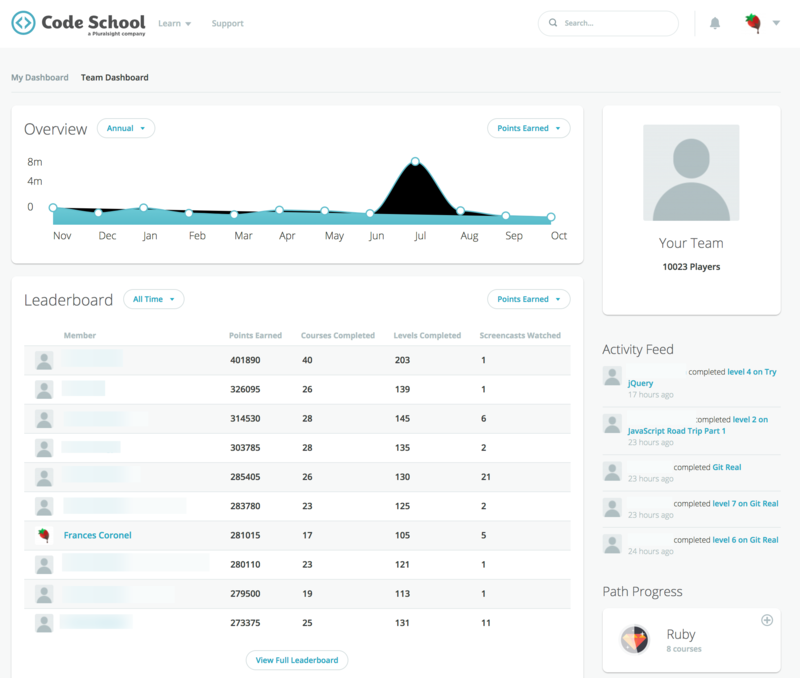 All Accenture employees who sign up for free access to Pluralsight & Code School also get access to a team leader board. Back in June, when I first started at Accenture, I was ranked #29 across all the employees for Code School. In September, I was ranked #7 (top 10) out of over 10,000 Accenture employees who use Code School.